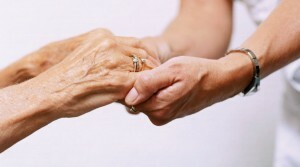 Many of us know the statistics about the growing elderly population in the country. Back in 2005, U.S. census figures estimated that about 5 million Americans were aged 85 and older. Based on trends, researchers expect that number to nearly quadruple to 19.4 million by the year 2050. And, if we’re looking at elders who have significant health problems, those figures tell us that “there could be an increase from 1.6 million to 6.2 million people age 85 or over with severe or moderate memory impairment in 2050.” But, what do these numbers mean for older adults in California? First of all, skilled nursing facilities in California currently are responsible for the care of more than 100,000 residents. In many cases, these patients transition from the hospital into a skilled nursing facility. And, often enough, the residents have serious health issues, such as late-stage Alzheimer’s and other forms of dementia. In California, most patients in skilled nursing facilities are over age 75, and most are women. While all aspects of the elder care industry are expected to cost more over the next two decades, skilled nursing services are expected to “remain the largest segment,” as costs for assisted-living facilities and in-home health services will expand. By 2016, the elder services industry is expected to grow to nearly $320 billion. If the elder care industry is linked to hundreds of billions in costs, why aren’t minimum staffing levels met at skilled nursing facilities—places with patients who need the highest level of care—in California? First, it’s important to understand what we mean when we talk about skilled nursing facilities. In California and across the country, skilled nursing facilities can look a lot like nursing homes, and indeed, according to Medicare.gov, sometimes they’re even housed within larger care facilities. They provide skilled nursing care—just like their name suggests—to individuals who need particular medical attention. They’re licensed by the state of California, and they’re required to abide by certain regulations, including staffing levels. California law requires at least 3.2 hours per patient in skilled nursing facilities. The “formula” for this is somewhat complicated, but it comes out to “the number of hours of work performed per patient day by aides, nursing assistants, or orderlies plus two times the number of hours worked per patient day by registered nurses and licensed vocational nurses.” In short, skilled nursing facilities certainly shouldn’t look to be understaffed by visitors, and you should almost always be able to see an RN at work. If not, the facility may be “failing to provide the level of care required.” Indeed, such a situation might rise to the level of elder neglect. As the article in the San Francisco Examiner points out, the California Department of Public Health’s Licensing and Certification Program has been “widely criticized for failing to investigate and charge nursing homes.” Thus, the problem likely is two-fold: skilled nursing facilities aren’t meeting staffing requirements, and when the Department of Public Health receives a complaint, investigations aren’t proceeding as they should. If you are concerned about nursing home neglect, you should discuss your case with an experienced San Diego nursing home abuse attorney. Contact the Walton Law Firm today to learn more about how we handle elder abuse claims in California.